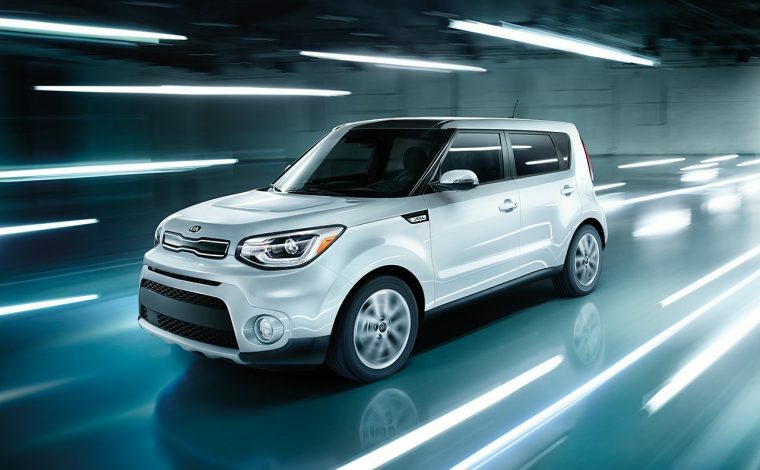 The 2019 Kia Soul is a great family vehicle with its unmistakable boxy design and eye-catching style. This distinctive and bold hatchback is back for 2019, and it promises to be a head-turner as it cruises down the city streets. For a fun compact crossover that represents your unique personality and fits any lifestyle, the 2019 Soul is ready to be your car soulmate. What’s New for the 2019 Kia Soul? 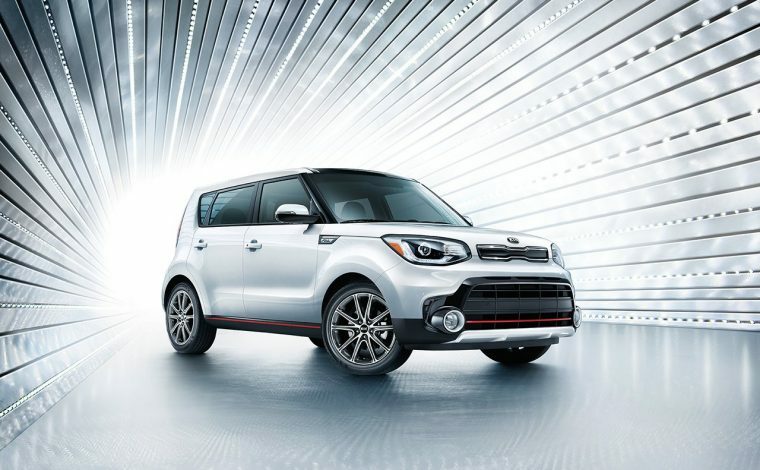 Minor packaging enhancements continue to let the 2019 Soul stand out from the crowd, with the addition of a standard 5-inch touch screen and voice recognition on the 2019 Kia Soul Base trim. For your safety and increased visibility, the base model now also has a Rear Camera and auto-on/off headlights as standard. 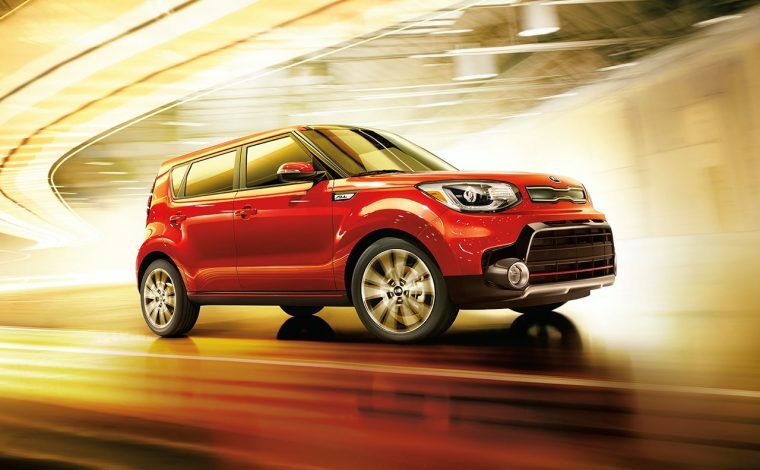 In addition to the signature silhouette, you can further express your inner driver by choosing vibrant colors for your 2019 Kia Soul, which now includes a striking Inferno Red color combo available on the Soul Base. 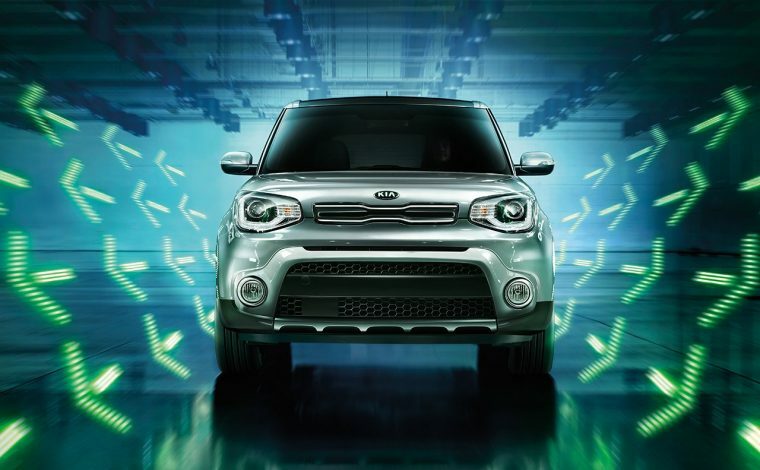 The iconic cubic shape of the Kia Soul remains for 2019, with dual body-color power mirrors, a chrome and matte black front upper grille, privacy and solar glass, and heated rear glass with a timer on the Base trim. The Plus (+) trim adds body color bumper inserts for a extra dash of style and fog lights and high-intensity discharge projector beam headlights with auto leveling for better visibility. The Exclaim (!) trim adds red accents on the gloss black bumper inserts and lower body molding for an aesthetic statement. 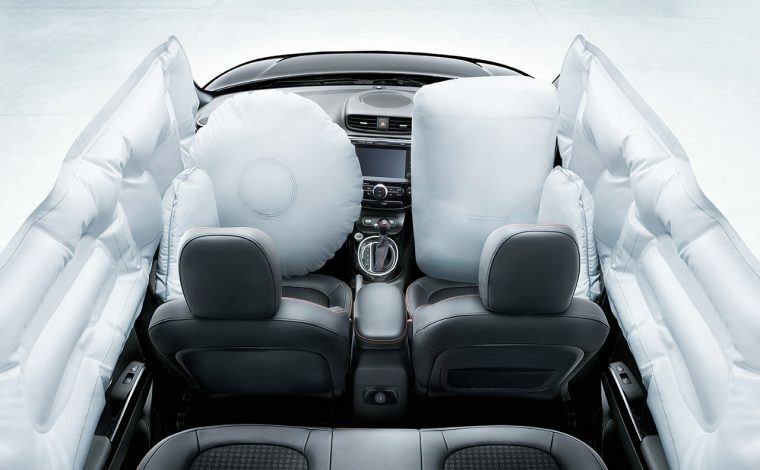 The 2019 Kia Soul offers three different engine options so you can pick the level of performance that’s right for you. The Base trim includes a 1.6-liter four-cylinder engine with a six-speed manual or available electronically controlled six-speed automatic transmission. This combination delivers 130 horsepower and 118 lb-ft of torque. Opt for the Plus trim and you’ll get a 2.0-liter engine that comes with a standard electronically controlled six-speed automatic transmission, enhancing the performance to 161 horsepower and 150 lb-ft of torque. For the most power, pick the 2019 Kia Soul Exclaim, where you’ll find a 1.6-liter turbocharged four-cylinder engine paired to a seven-speed dual-clutch transmission that pumps out 201 horsepower and 195 lb-ft of torque. The fuel economy of the 2019 Soul remains the same as the previous model year, providing almost identical fuel economy across all three trim levels. The highest Exclaim trim gets 26 mpg city, 31 mpg highway, and 28 mpg combined, which is the most fuel-efficient of the three. The Base and Plus trims offer similar fuel economy, with the Base getting 24 mpg city, 30 mpg highway, and 27 mpg combined. The only difference on the Plus trim is a 25 mpg city rating. The stylish exterior is only a sneak peek into the high-quality interior that awaits you, where a six-way adjustable driver’s seat and impressive surfaces like soft-touch dash and door panels greet you. 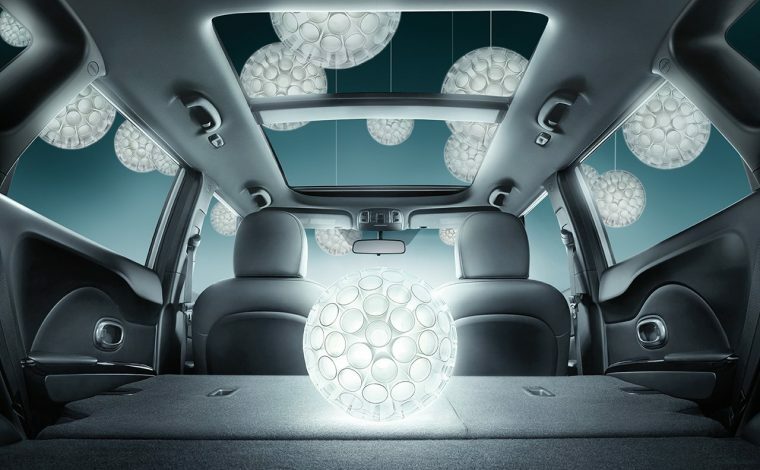 The Plus trim offers available LED lighting, as well as available heated seats and steering wheel. The Exclaim trim brings style to the next level with a sport leather-wrapped steering wheel and shift knob, black leather seat trim with orange contrast stitching, satin chrome door handles, and piano black accents all around. The Base trim includes standard technology features like Bluetooth® hands-free connectivity, Flexsteer™, and AM/FM/MP3/SiriusXM® audio system. A 7-inch touchscreen with UVO eServices is ready for use on the Plus and Exclaim trims, where Apple CarPlay™ and Android Auto™ compatibility and an available Harman/Kardon® audio system deliver an exceptional driving experience. 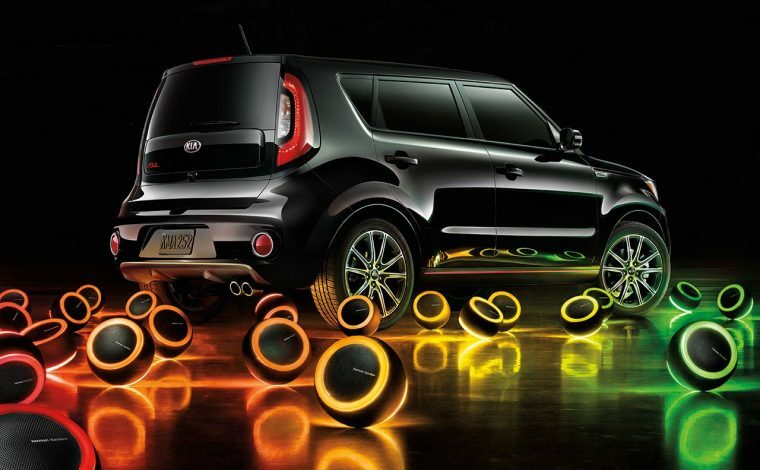 The 2018 Kia Soul was an IIHS Top Safety Pick Plus award winner when equipped with the high-intensity discharge headlights that become available on the Plus trim, and that feature returns for 2019, giving drivers the reassurance of a smart safety choice when they pick the 2019 Soul. The Plus trim also includes an available suite of other safety features, such as the Forward Collision Warning System, Lane Departure Warning System, Rear Cross-Traffic Alert, and more.